This year 2014 marks the 200th anniversary of the birth of Antoine ‘Adolphe’ Sax, the Belgian inventor of the saxophone! It is acknowledged that Jazz has been the voice par excellence of the instruments which the creator bequeathed to the world of music and no voice has excelled that of the late Sidney Bechet, born in 1897 in New Orleans and recognised as the finest player of the soprano saxophone by a good many of the giants of Jazz, the legendary Duke Ellington included! Sidney Bechet was born in New Orleans in May 1897 and is acknowledged as the greatest of the early masters of Jazz, up there with Louis Armstrong and Duke Ellington. He toured widely in the US and Europe and finally settled in Paris where he found himself amongst many of the most revered names of 20th century art, literature and music. During his short stay in England in 1919 he played before King George V and Queen Mary. Some of his compositions such as Petite Fleur are jazz classics. 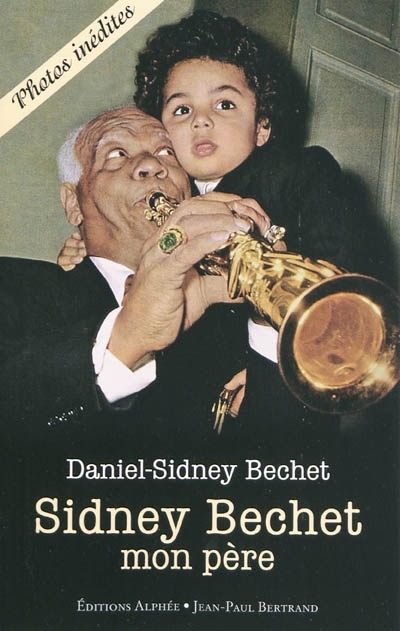 Daniel-Sidney Bechet, Sidney’s only child, was only five when his father died but his whole life has been spent promoting his father’s memory. As a drummer, he has become an accomplished Jazz musician himself. His book, ‘Sidney Bechet: My Father’, published by Books of Africa and successfully launched at the Hippodrome Casino in May, tells the story of this visionary genius as witnessed by his son. It also records Daniel’s own life and gives us his own take on the world of Jazz. A copy of the CD ‘Homage’ containing some of Bechet’s most famous compositions is included in the book! The vibe will be New Orleans! The ambience will transport you to Paris ‘aux années 20s et 30s de la dernière siècle’! And you’ll be welcome to dress accordingly à la mode!